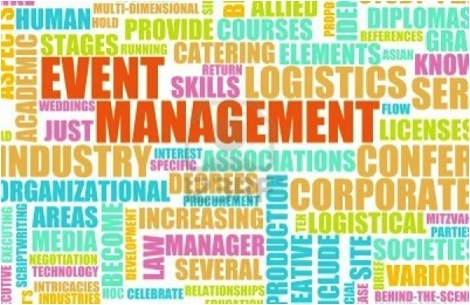 Too often, event management is considered to be an easy-to-enter industry. If you are passionate or interested in event planning, you do not need a specific degree on the subject – regardless of if you majored in Engineering or Dentistry – to be an outstanding event manager. While this is very true, event management is not as simple as it appears. From all of the experience I have on planning events, I have concluded five must-knows as an event planner. Multi-tasking is generally a good thing, but in reality, you can’t truly perfect multi-tasking – few can really succeed in answering the phone while replying to an email, during a meeting, and without making any mistakes. As an event planner, there are tons of things you’ll need to handle every single day. The best solution is not multi-tasking, but prioritizing all of your tasks based on their urgency levels. The issue that your keynote speaker is no longer available always outweighs your food vendor’s inquiries. I know this sounds really ridiculous, but information asymmetry causes 80% of problems during the event planning process (of course I’m making up this number). Staying on top of everything does not mean that you take control in everything, but you at least need to be aware of all that is going on. People send you emails for reasons: either it requires your action or it is an important FYI. You don’t need to reply to every email immediately, but try to read them as soon as you can. 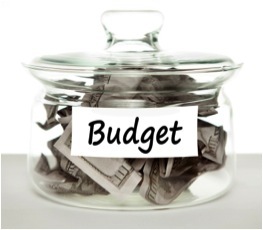 When you make a budget plan, try to leave 10%-15% aside from the total budget for flexibility. Once you get started, you will find that everything you need costs more than you estimated. If you use up the budget in your planning, you’ll probably stress out in the middle as you realize that there is not much money left for you to use. Also, when you’re making a decision, remind yourself about the budget plan – is this on the budget plan? Is it increasing the cost? Can I change the vendor so the cost will be reduced? Don’t make any decisions before you refer to the budget plan. With that said, treat your budget plan VERY seriously! I think every person who works in event planning knows how important a crisis plan is. It can help you be well-prepared for many incidents on the event day, as you have already “expected” them to happen. In addition, developing a crisis plan requires you to go through the whole event plan again, during which you will be able to find some loopholes that can be fixed immediately. It’s too early to rest! A perfect crisis plan doesn’t mean that you can sit back comfortably during the event. You can’t assume that everyone is familiar with the plan – they will all need your directions and instructions if a crisis happens. Besides, there is always something unexpected. Yes, always. Stay calm and trust your instincts when responding to the unexpected crisis. That’s the most important, yet, most difficult characteristic required to be a successful event planner. Also, make timely decisions. The more crises you have been through, the more accurate your decision will be. This entry was posted in Advice on November 4, 2014 by TriSight.